Exclusive bed sheets are those that not only look elegant and awe-inspiring, but are also good to touch and feel. They are made of high quality cotton and are perfect for imparting a soothing experience to homeowners. One of the best cotton types is Egyptian cotton. This article goes into the depth of analyzing how bed sheets made from Egyptian cotton is better than other conventional cotton types. At one time, cotton grown in Egypt was referred to as Egyptian cotton. They were considered to be among the foremost in the world of cotton. For ages, the country has exported quality cotton fabrics to various parts of the world. As of today, Egyptian cotton refers to the type of thread pertaining to cotton produced in the country. Since the fibers are hand-picked and can be stretched to make long fine yarns; the actual length and texture of the yarns are not compromised. The yarns are straight, strong, intact and soft. It is common knowledge that longer the yarns better is the quality of the sheet. Also, the vertical yarns are kept more in bed sheets made from Egyptian cotton. Therefore, the length of the yarns stays intact ensuring better quality and finish. Whenever you buy bed sheets, you should make sure that the yarns are long and strong. You can read the label on the sheets to find out the exact length of the yarns. With finer threads, the yarns can be woven into each square inch, so that the final product has a smoother, more flexible and softer finish. You can make as many folds as possible in a sheet with fine yarns. Are Bed Sheets Made of Egyptian Cotton Better Than Regular Cotton? As far as softness and flexibility are concerned, Egyptian cotton ranks higher than conventional cotton. If you are looking for unique bed sheets with soft touch along with high quality, you need to opt for those with Egyptian cotton thread. Since they are picked by hand with great care; they are long-lasting and retain their quality. On the other hand, conventional cotton is picked by machines. As a result, their yarns endure high pressure and they cannot be stretched to form long-staple cotton. 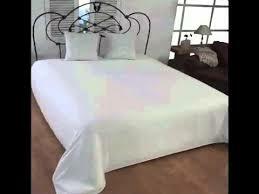 The thread count in Egyptian cotton bed sheets is also more, making the sheets durable and superior in quality. A very important attribute of these yarns is that they are high in absorbing liquid. Therefore, you do not have to worry, if the bed sheets turn dirty. Unlike regular or synthetic sheets, Egyptian cotton bed sheets are easy to wash. You can easily get rid of dirt when the fabric is wet. Being premium grade, the bed sheets do not lint or grow bobblingafter you wash them. They retain their softness and flexibility even after you wash them repeatedly. On the other hand, regular or conventional cotton bed sheets lint and easily grow bobbling, thus losing their soft texture. In the course of time, the sheets grow rough and tear. 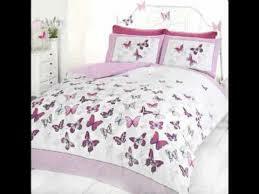 But, bed sheets that are made with Egyptian cotton do not turn rough that easily and do not tear. You can use them for long as they stay soft and flexible for many years. With insight into Egyptian cotton and its quality, you can now decide, which cotton thread to choose when purchasing bed sheets. Jessica Jones is an interior designer with special expertise on bed sheets. She is presently working with http://www.zebaworld.com/ . Jessica has written numerous blogs and articles to help people choose bed sheets.